Your vendors are an extension of your business. They interact with your people, connect to your systems, and handle your data. They can also expose you to tremendous risk. As we’ve explored in our previous three posts of this vendor risk management (VRM) series, your ability to manage the risk from third parties is critical to your long-term success as a business. Poorly managed vendor risk can expose you to breaches, inefficiencies, and unnecessary cost. But when vendor risk management is done right, it can yield a host of benefits for your business – some obvious, and others less so. With third-party risk appropriately mitigated, you can take a deep breath and focus on driving the most value from your vendor relationship. Cutting costs, not corners. Ad hoc vendor risk management programs are costly and ineffective. Operating without a vendor risk management program can be even more so, especially when you factor in the costs associated with data loss, remediation work, and compliance fines. While building a vendor risk management program from the ground up requires an upfront investment, the long-term effects are priceless. The cost of working with vendors is ultimately reduced, as a centralized and standardized process for scoring vendors during initial onboarding eliminates the need for duplicative and costly assessments every time the vendor engages with a new area of your business. Do it right the first time, and your long-term costs are merely the costs of ongoing monitoring of vendors. Centralizing and standardizing your vendor risk management also reduces the operational costs of evaluating vendors. If IT, Compliance, Procurement, and Risk Management are all performing discrete risk assessments of new vendors, you’re likely seeing operational inefficiencies that are driving up the cost of assessing each vendor (and giving your vendors headaches). Centralizing these activities in a single VRM function can dramatically reduce your labor and cost. Understanding risk over time. A well-designed vendor risk management program creates better metrics for comparing risk scores between competing vendors, giving you simple, repeatable, reliable metrics for evaluating the risk levels of your vendors. This is useful, of course, during initial vendor selection, but it can also be used during contract recompetes and renewals. Knowing a vendor’s risk score (ideally kept up-to-date through ongoing monitoring) allows you to award contracts to “low hassle” vendors – those with a proven track record of strong internal controls and data protection mechanisms – reducing the total cost you’ll spend on vendor maintenance, monitoring, and mitigation over the lifetime of the contract. Gaining leverage. Engaging third parties requires negotiation, and there is tight competition for your business. Knowing the risk profile of a vendor gives you leverage to require that the prospective vendor change their behaviors in certain ways. In some cases, it may also give you a tool to negotiate pricing, as you seek to reduce the cost of the vendor to allocate funds toward risk mitigation. Both of these outcomes enable improved vendor behaviors and cost reductions, resulting in positive impacts on your business and vendor relationship. Maintaining compliance. Most new industry frameworks and data privacy regulations have recognized the reality that a company’s vendor ecosystem serves as an extension of the company and should be treated as such. The EU’s General Data Protection Regulation (GDPR) is the first regulation to hold data processors – in many cases, vendors – equally responsible in the event of a breach (as discussed in Part 3 of our series). It also places increased emphasis on the data controller (which is often you) to have adequate controls in place to protect data that is being processed outside your perimeter. The post-GDPR wave of regulations, like the California Consumer Privacy Act, seem likely to continue this trend, requiring that you pay more and more attention to your vendors, or face skyrocketing fines in the event of a breach. A strong VRM program simplifies your compliance initiatives and protects you from fines and penalties. Building consistency and continuity. Centralized vendor risk management means that vendor risk is understood by your organization, not just the individual managing the vendor relationship. 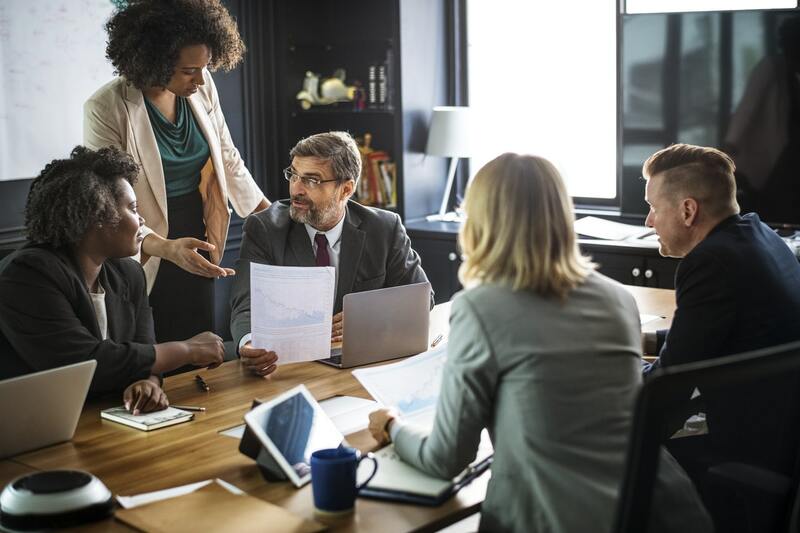 If you have departmental leadership changes, new leaders will be able to review and understand the risk of each vendor, as well as their historical risk performance, without interruption. Additionally, centralized VRM allows everyone in the organization to quickly engage approved vendors for high-priority projects, without having to deal with unnecessary inter-department bureaucracy. Expand this idea out to complex organizations with portfolio companies or sub-brands, and you can begin to realize massive efficiencies. The consistency and centralized nature of the assessments means that your business can operate swiftly and without interruption, even as internal resources change. Is Vendor Risk Management Worth the Investment? For businesses looking to grow quickly and securely, building a centralized, scalable process for managing vendor risk is one of the most important things you can do. From the obvious benefits – reducing risk and saving money – to the not-so-obvious benefits of consistency, reliability, and compliance, a vendor risk management program has the potential to deliver a significant return on your investment. A well-implemented vendor risk assessment program informs not only the initial due diligence activities, but ongoing risk management and mitigation activities that are often overlooked. Focal Point has a team of experts specializing in vendor risk management. Whether you’re looking to outsource your established program or build one from the ground up, Focal Point can support both your strategy and execution. Want privacy and security updates and insights delivered straight to your inbox?